The bank franchise tax is imposed on banking organizations. Title 5, Delaware Code, Chapter 1, Section 101(7) defines banking organizations. 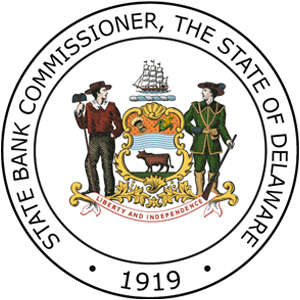 Title 5, Delaware Code, Chapter 11, Sections 1101-1115 provide statutory provision for banks, trust companies, resulting branches in this state of out-of-state banks and federal savings banks not headquartered in this state but maintaining branches in this state. Title 5, Delaware Code, Chapter 18, Sections 1801-1809 provide statutory provision for building and loan associations. For banks and trust companies, the bank franchise tax calculation begins with net operating income before taxes as reported on the December 31 call report and includes adjustments for securities gains and losses and other appropriate adjustments. If an election is made to treat certain corporations as subsidiary corporations for tax purposes, their income is also included. 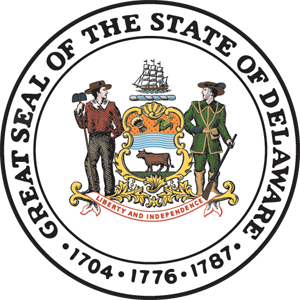 Reductions are allowed for: income from an insurance division or subsidiary; net operating income before taxes from specific subsidiaries that are taxable under Delaware law or the law of any other state, including shares tax; non-United States branch offices; gross income from international banking transactions and facilities; interest income from volunteer fire companies; and examination fees paid to the Office of the State Bank Commissioner. This sum is the multiplied by .56 to arrive at taxable income. For resulting branches in this state of out-of-state banks, the calculation of taxable income also includes the addition of an imputed capital addback. For federal savings banks not headquartered in this state but maintaining branches in this state, taxable income is equal to the net operating income of the branch or branches located in Delaware before taxes with adjustments for securities gains and losses and other appropriate adjustments. A reduction is allowed for interest income from volunteer fire companies. Building and loan associations are taxed on net operating income before taxes, defined as total operating income minus total operating expense. Reductions are allowed for net operating income before taxes from specific subsidiaries that are otherwise taxable under Delaware law or the law of any other state, gross income from international banking facilities and transactions, interest income from volunteer fire companies, and examination fees paid to the Office of the State Bank Commissioner. This sum is then multiplied by .56 to arrive at taxable income. The bank franchise tax is paid in lieu of state corporate income taxes, occupational taxes, and all other state taxes except for real estate. A traditional income tax employing three-factor apportionment with a double-weighted receipts factor. The tax’s regressive rates range from 7.0% on taxable income not in excess of $50 million to 0.5% on taxable income in excess of $1.3 billion. A “Location Benefit Tax” based on net assets. The minimum tax is $1.6 million with additional liability ranging from 0.012% on the value of net assets not in excess of $5.0 billion to 0.004% on net assets in excess of $20 billion but not in excess of $90 billion. The maximum Location Benefit Tax is $6.2 million. The bank franchise tax liability can be adjusted by tax credits. Tax credits available include: Travelink tax credits calculated in accordance with Department of Transportation Travelink tax credit reporting requirements; and an employee tax credit for certain new bank employees, provided the bank has least 200 new qualified employees and invests at least $15,000 per new qualified employee; and a Historic Preservation tax credit as administered by the Delaware State Historic Preservation Office; and a Veterans’ Opportunity Credit. A bank, trust company, resulting branches in this state of out-of-state bank, and federal savings banks not headquartered in Delaware but maintaining branches in Delaware whose franchise tax liability for the current tax year is estimated to exceed $10,000 must file an Estimated Franchise Tax Report by March 1. Estimated tax installments are required of taxpayers with an annual tax liability in excess of $10,000. The filing of estimated tax liability is due and payable in installments as follows: 40% on June 1; 20% on September 1; and 20% on December 1. The December 31 call report and the Final Franchise Tax Report are due by January 30 of the succeeding year. The final franchise tax balance must be paid by March 1. Payment of franchise taxes on the income of building and loan associations must accompany the report of net earnings, which is due within 75 days of the end of the association’s fiscal year. Late payment penalties are calculated at .05% per day that taxes remain unpaid from the original due date. 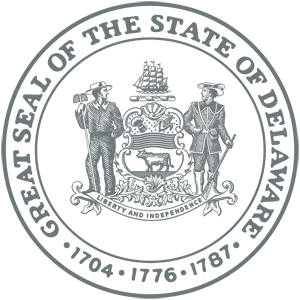 Additional taxes for underpayment of estimated tax are assessed at .05% per day on the amount of underpayment for the period of underpayment. A $25 per day late filing penalty is assessed for each day the taxpayer fails to file an estimated or final franchise tax report.